A number of high profile store and plant closure announcements have put the spotlight on challenges gripping the retail and manufacturing sectors in Canada and abroad. When making closure and relocation decisions, it is critical for businesses operating in Canada to consider the employment obligations and liabilities that arise in “mass termination” scenarios. Group termination provisions generally require an employer to provide the affected employees with enhanced notice of termination. In contrast to individual terminations, where statutory termination notice entitlements are based on employees’ lengths of service, group termination notice entitlements are not based on seniority. Instead, employees severed as part of a mass termination must be provided with the same amount of termination notice, the quantum of which depends on the number of employees who will be terminated in the prescribed period. For example, in Ontario, employers must provide 8 weeks’ notice to each employee when 50 to 199 employees will be terminated in a four-week period, 12 weeks’ notice for 200-499 employees, and 16 weeks’ notice when 500 or more employees will be terminated in a given four-week period. Thankfully, a recent Ontario Court of Appeal decision has clarified the operation of the ESA’s mass termination provisions, and particularly the consequences of an employer’s late delivery of the required Form 1 notice to the Director of Employment Standards. Wood v. CTS of Canada Co., 2018 ONCA 758 was a class action brought on behalf of 74 employees who were severed when an Ontario manufacturing operation shut down. The former employees claimed that the termination notice their employer provided was invalid and inadequate for various reasons, such that they were entitled to additional pay in lieu of notice following the plant closure. In 2017, the plaintiffs were successful on a motion for summary judgment before the Ontario Superior Court of Justice. The motion judge held that their employer’s failure to provide Form 1 notice to the Director of Employment Standards at the same time of giving notice to employees rendered all working notice provided prior to the Form 1 delivery null and void, notwithstanding that the employer had actually provided a substantially greater period of working notice to employees than the minimum standard required by the ESA. On appeal, however, Associate Chief Justice Hoy of the Ontario Court of Appeal fundamentally disagreed with the motion judge’s interpretation of the ESA mass termination provisions and overturned significant parts of the lower court’s decision. “Form 1” notice of mass termination required by the ESA must be given to the Director of Employment Standards on the first day of the statutory notice period. It does not need to be given before the commencement of the statutory notice period, even if the employer has chosen to give employees greater notice of termination, i.e. notice on some earlier date. Late delivery of the Form 1 notice disentitles an employer to credit for working notice between the start of the statutory notice period (the due date for the Form 1 notice to the Director of Employment Standards) and the date on which the Form 1 notice is actually received. However, late delivery does not render earlier notice of termination given to employees invalid or ineffective for all purposes. Extensions to a period of working notice may legally constitute fresh notices of termination which restart employees’ notice periods and deny employers credit for working notice completed up to the date of the extension. Employers may not receive credit for working notice if exceptional demands or other workplace conditions interfere with the quality of an employee’s opportunity to find new employment during the working notice period. 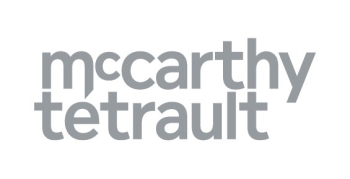 Our recent post on our McCarthy Tétrault Employer Advisor blog provides further analysis of the decision and its significance.